Helping Clients Reduce Fat Safely! At Body Sculpting Spa, our professional team of experts, not only help you look their best, but also improve our client’s self-esteem! Whether you are in need of trimming away body fat, or looking for spa services such as: CoolSculpting, Permanent Makeup, skin tightening, ThermiSmooth, Microneedling, Electro-body sculpting and more, you have found the right place! Contact our spa in St. Clair Shores, MI and let’s book your next appointment! 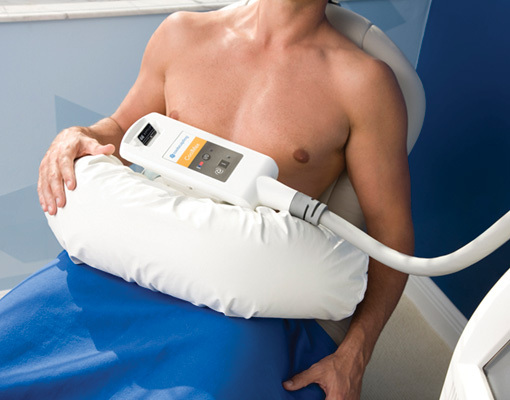 Eliminates stubborn fat, safely and effectively without surgery or downtime. Gently cools unwanted fat cells in your body! FDA cleared to safely target the fat cells underneath the skin. The treated fat cells are “frozen,” and over time your body naturally eliminates these dead cells! Are you tired of your love handles? Ready to lose fat? Our innovative technology can help reduce unwanted fat and target specific areas of the body, without surgery or downtime! CoolSculpting is a non-invasive procedure that can result in noticeable fat reduction! Ready to Freeze Away the Fat? Call Today for a FREE Consultation. Let us show you how we can reshape your body today! Our preferred procedure eliminates stubborn fat safely and effectively, without surgery or downtime. This fat reduction treatment is the only FDA-cleared procedure to use controlled cooling to safely target and eliminate diet- and exercise-resistant fat. Results are proven, noticeable, and lasting, so you’ll look and feel great from every angle. Freeze away fat? It comes down to science. Fat cells freeze at higher temperatures than surrounding tissues. Our technology safely delivers precisely controlled cooling to gently and effectively target the fat cells underneath the skin. The treated fat cells are crystallized (frozen), and then die. Over time, your body naturally processes the fat and eliminates these dead cells, leaving a more sculpted you. Hello, my name is Shanel and thank you for your interest in CoolSculpting! 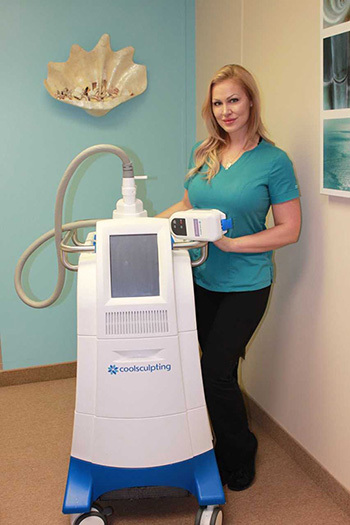 I am an advanced CoolSculpting Specialist with over 5 years of experience using modern CoolSculpting techniques. I would love for you to call me directly, so I can answer all of your questions regarding this amazing procedure. ANSWER: Good candidates have noticeable bulges in certain areas they’d like to get rid of. The CoolSculpting fat reduction procedure is specifically designed for those who have unwanted fat that resists diet and exercise. Unlike gastric bypass surgery, the CoolSculpting procedure is not a weight loss solution for people who are obese. It is, however a non-surgical alternative to liposuction. Request a one-on-one consultation with us to determine if the procedure is right for you. QUESTION: How much does the procedure cost? ANSWER: We will help you create an individualized treatment plan tailored to your specific goals. The length of your session will vary depending on the number of areas being treated during one visit. We may schedule additional sessions in order to meet your goals. ANSWER: The CoolSculpting procedure is FDA-cleared for the flank (love handles), abdomen, and thigh. With over one million treatments performed worldwide, it is proven to be a safe and effective treatment for non-surgical fat reduction. ANSWER: During the procedure, you may experience deep pulling, tugging, pinching, numbness or discomfort. Following the procedure, typical side effects include temporary numbness, redness, swelling, bruising, firmness, tingling, stinging and pain. Rare side effects may also occur. The CoolSculpting procedure is not for everyone. You should not have the CoolSculpting procedure if you suffer from cryoglobulinemia or paroxysmal cold hemoglobinuria. The CoolSculpting procedure is not a treatment for obesity. As with any medical procedure, ask us if the CoolSculpting procedure is right for you. ANSWER: Yes, you can. The procedure is completely non-surgical, so typically you can return to normal activities immediately. Often times, patients return to work after their CoolSculpting session is over.